November is creeping towards its end, which of course means that the Patreon deadline for this month’s UI is closing in. Here is a small preview of what’s in store this month! 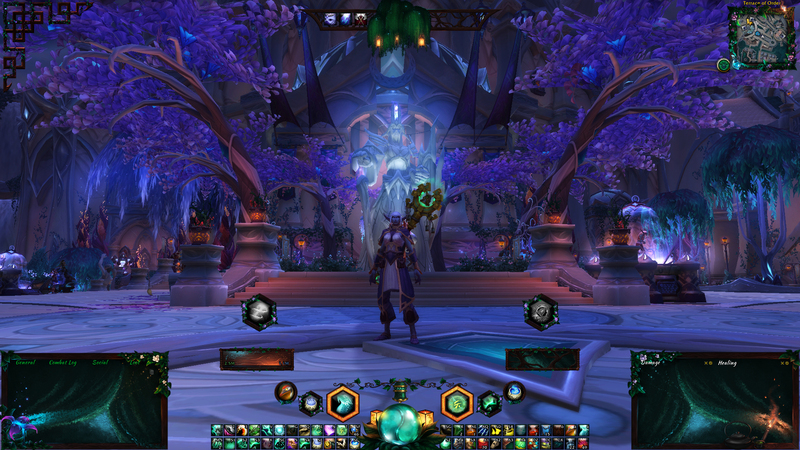 A full-feathered package of themed interface art to adorn your screen, in the colours of autumn! Deadline for this month’s art is 30th November. 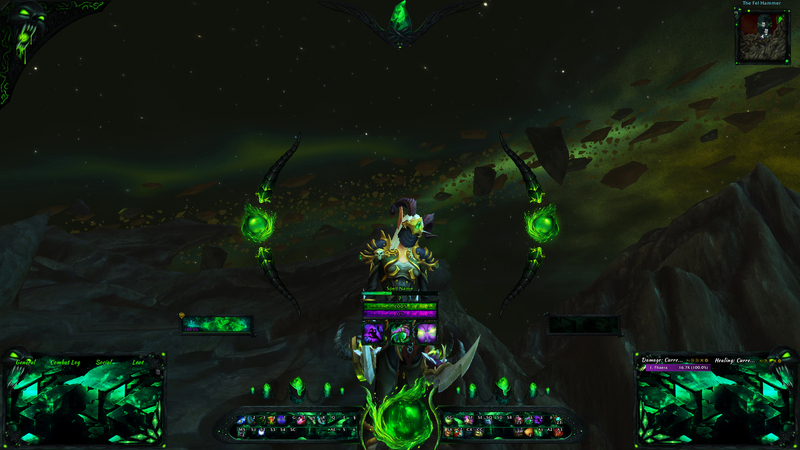 My Fel themed interface art is complete for October and rewards have been sent out to eligible patrons! Time to make the art into your very own UI. Here’s a post with some export strings to give you a running start! Buckle up your seat-belts, this will be a spoilery ride. New content has been announced from Blizzcon for many patches ahead, and I’ll be shamelessly delving into it without abandon. If you don’t like to know anything of what’s to come, don’t read this post and put a pillow around your face with a sleeping mask over. You’re gonna need it. Mists of Pandaria Timewalking will be introduced with 6 dungeons. Brawler’s Guilds make a return! Micro-holidays – Azeroth makes way for their own celebrations! Blade’s Edge Arena graphics update.